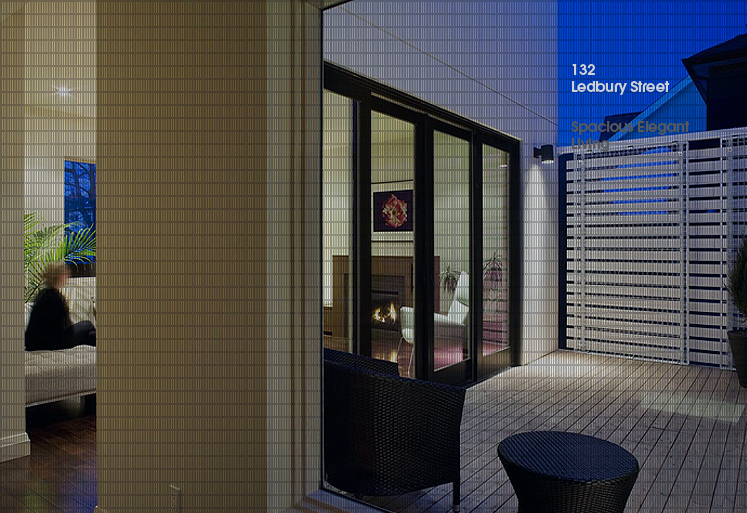 Reigo & Bauer is a design and development practice that specializes in the residential market through new construction, renovation, and interior design. 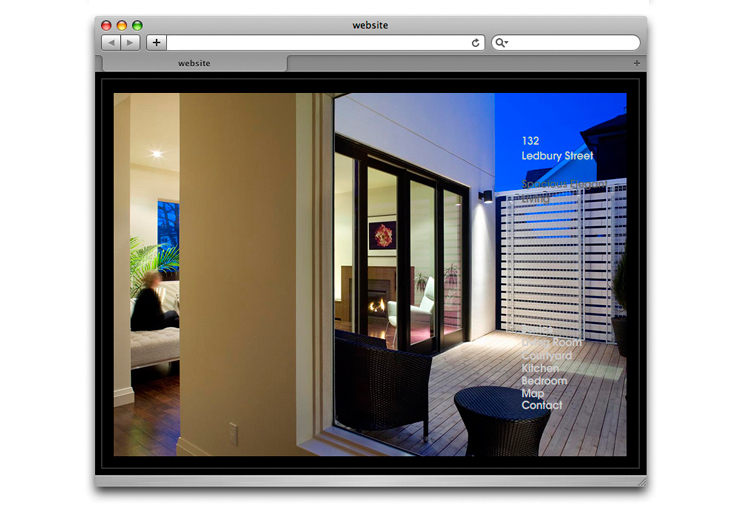 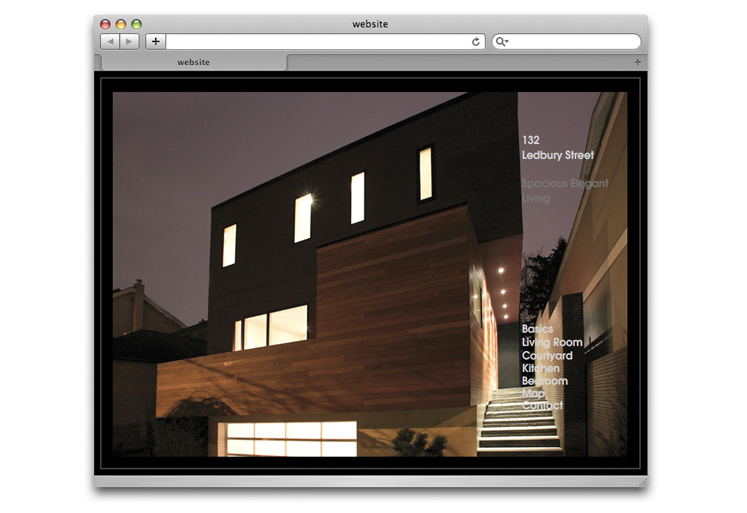 The company’s aim is to bring exciting contemporary design to the broader public. 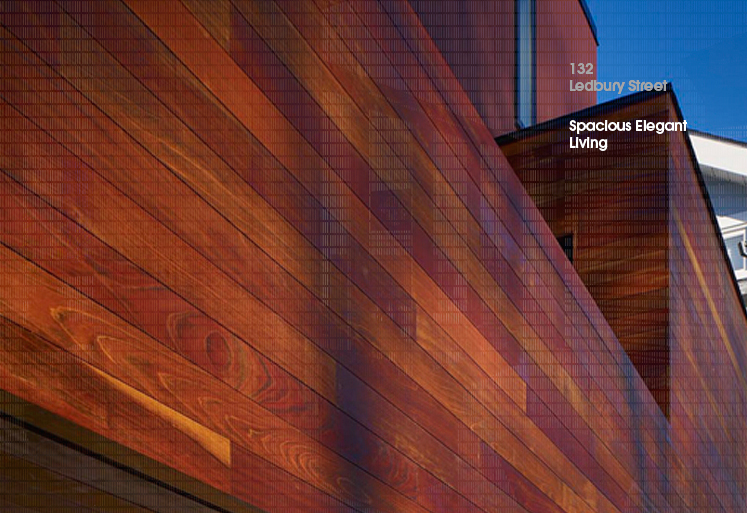 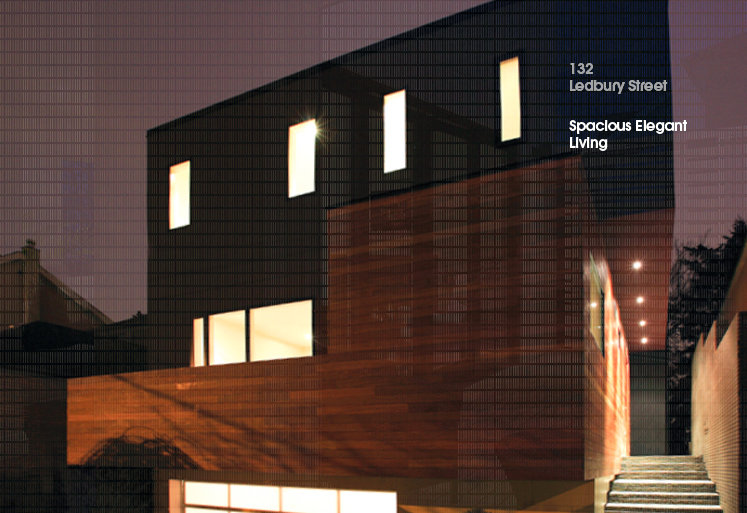 Reigo & Bauer has kept incredibly busy with their latest architectural creation, 132 Ledbury. 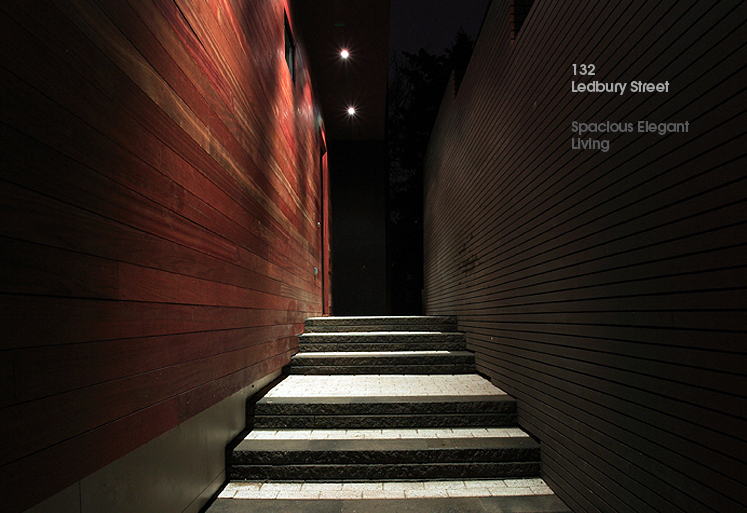 A modernist beauty, sophisticated and efficient, 3,500-square-foot luxury house located in a pleasant post-Second World War suburb in Toronto. 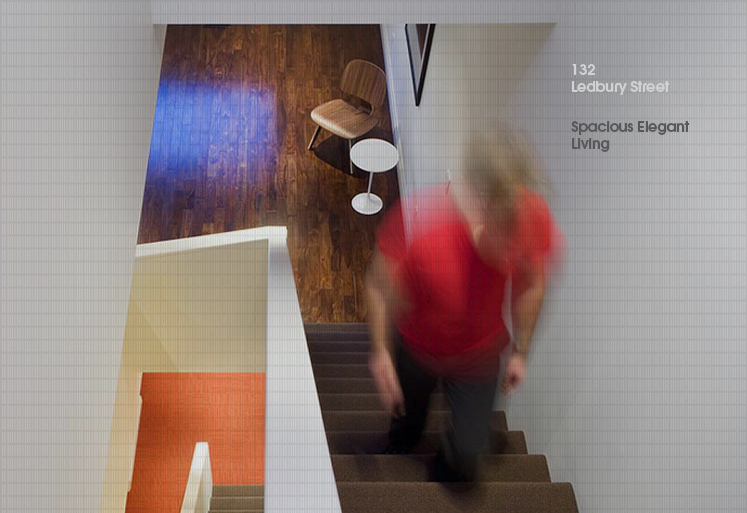 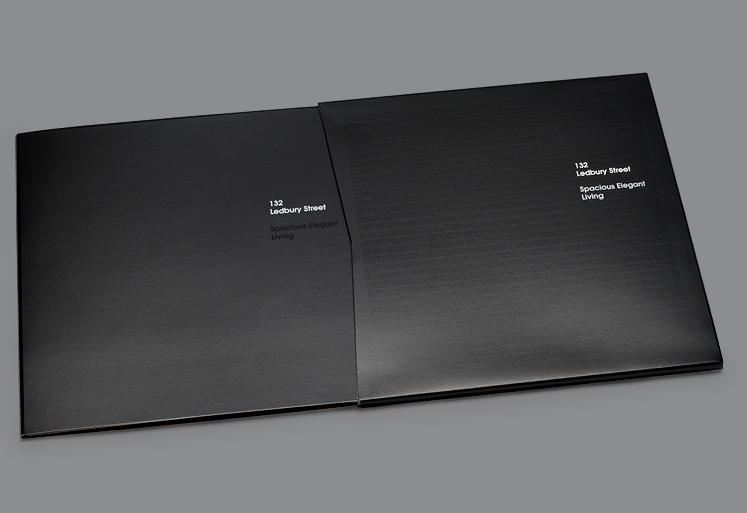 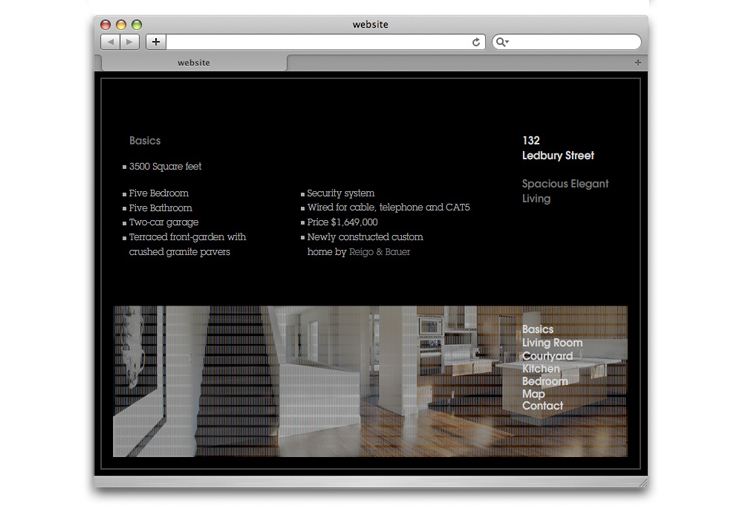 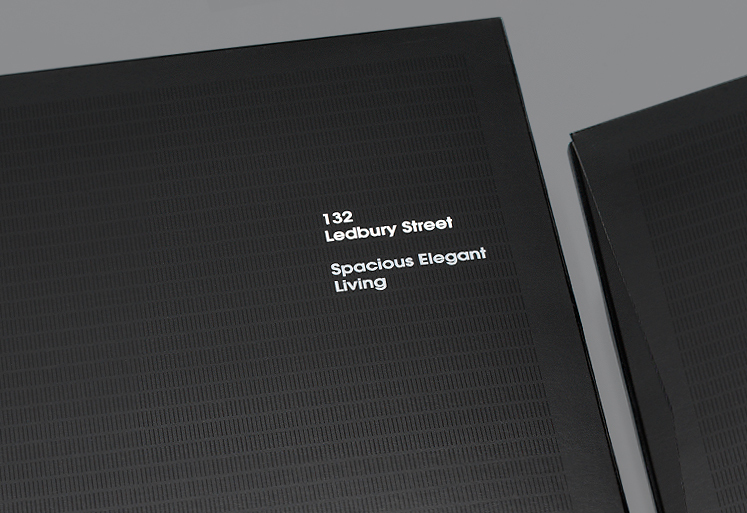 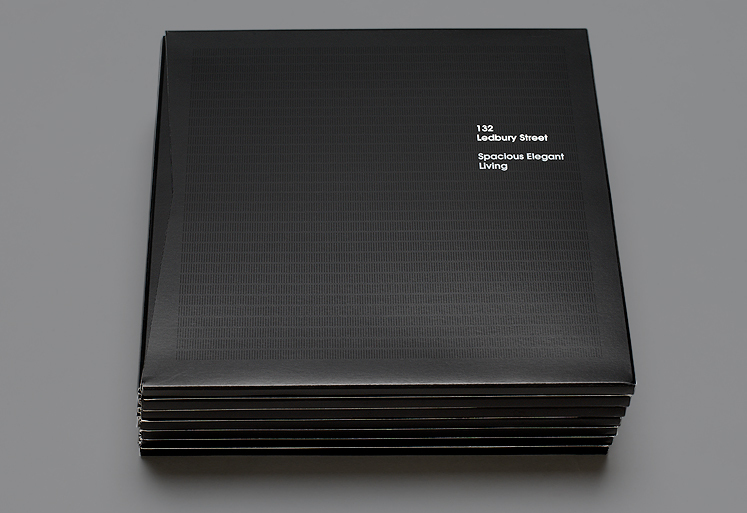 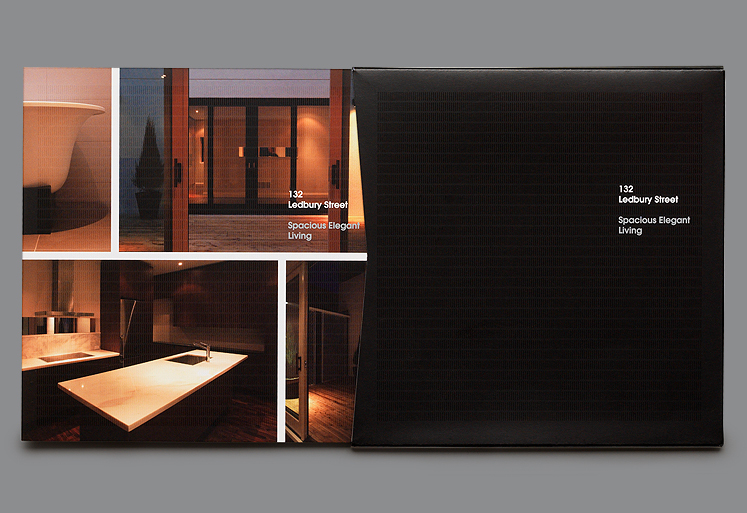 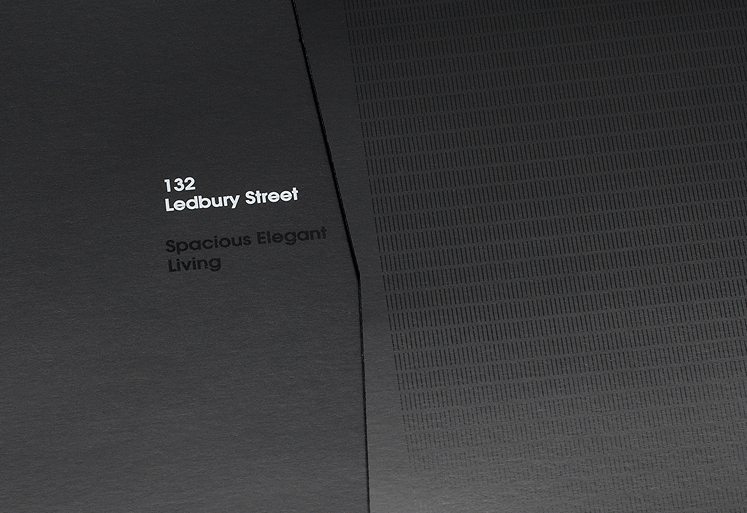 typotherapy was selected based on their understanding of modern design to create an identity and marketing materials designed to promote 132 Ledbury Street. 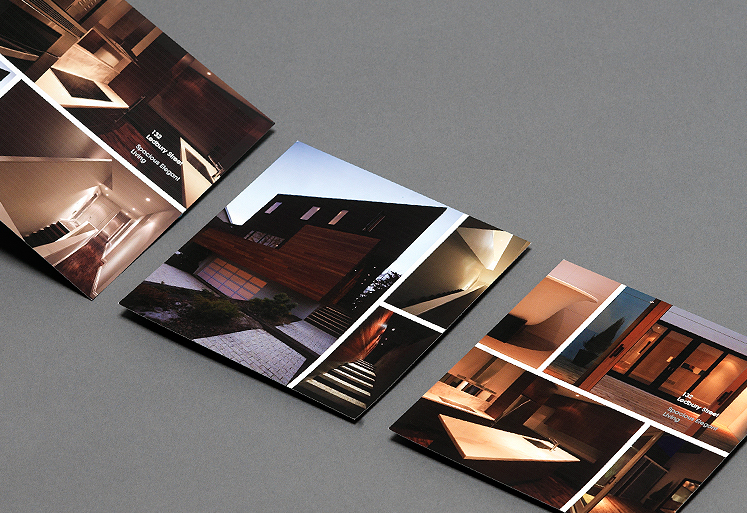 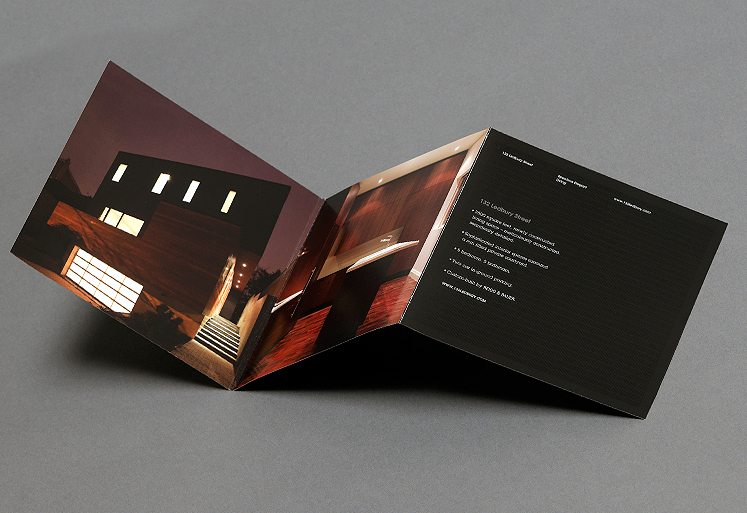 A pocket slipcover was created to clutch an attractive accordion fold brochure with three separate inserts revealing the floor plans of each level of the house. 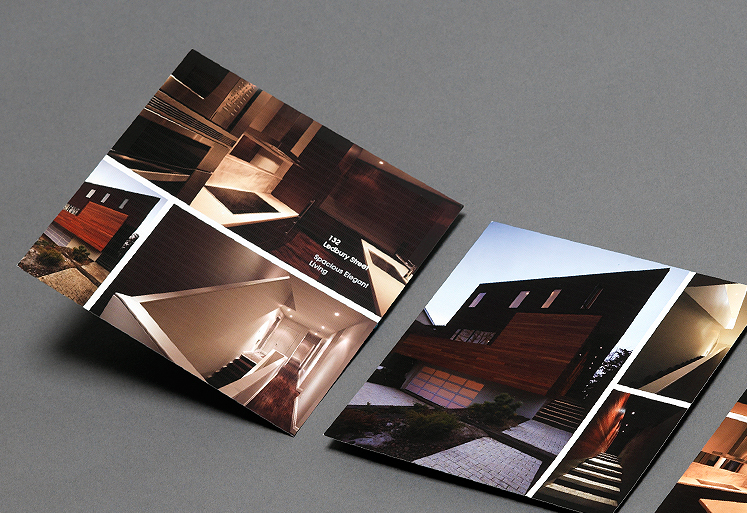 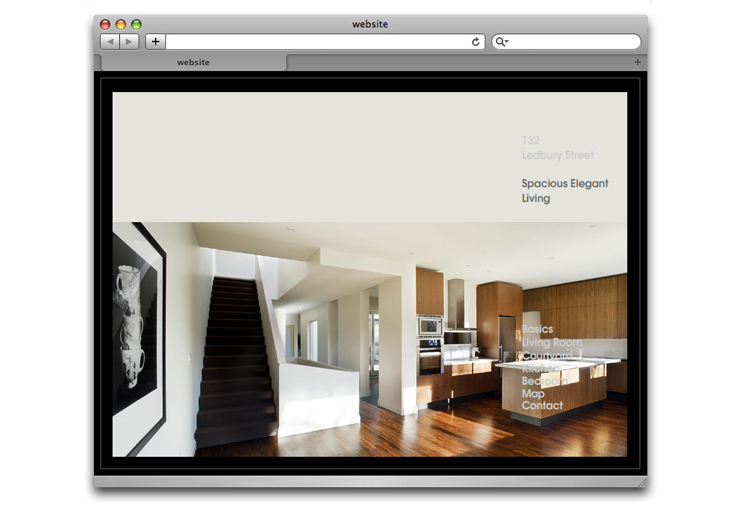 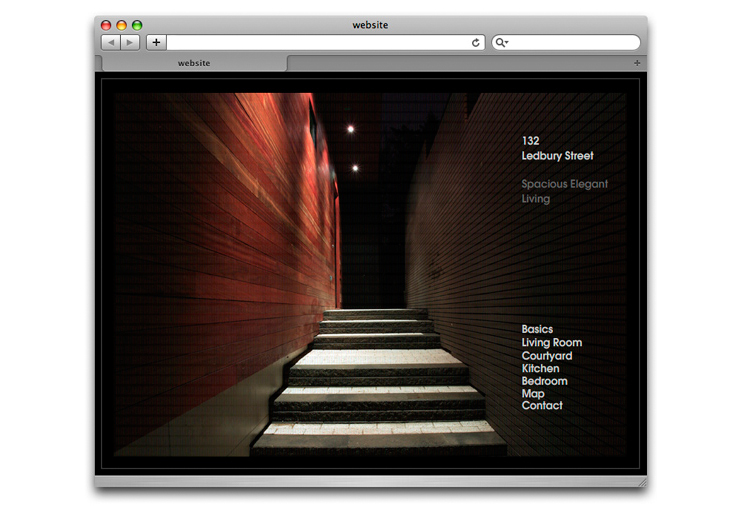 Business cards for the agents, accompanied by a website were designed specifically for the open house event. 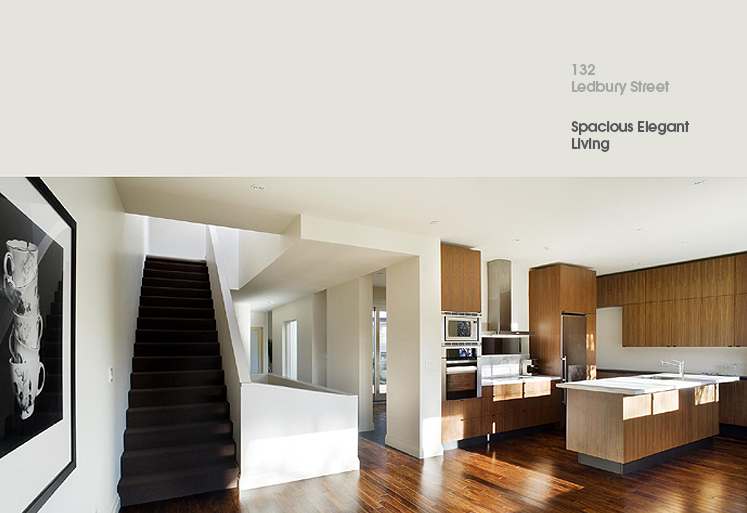 As a result, the open house event was a huge success and 132 Ledbury was sold within days.